Found 2 file extension associations related to ANNO 1602 and 1 file format developed specifically for use with ANNO 1602. Anno 1602 is a real time strategy game, set in the Early Modern (around the 17th century) period of history. The game is based around colony building and resource management on a series of small islands. It includes aspects of exploration, combat, diplomacy and trade. It is set in the same period as Sid Meier's Colonization, but involves more detailed colony management, with no "Old World" politics. 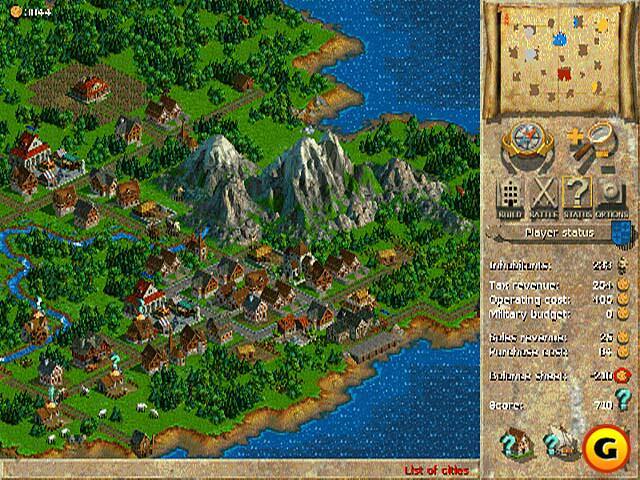 Parts, like expansion and movement of resources, are similar to the early Settlers games. 1602 is an economic, rather than combat, orientated strategy game. Players are rarely challenged in battle. The game design is noteworthy for its attempt to implement a 'progressive' AI (Artificial Intelligence). This should mean that the pace of the game changes in response to how quickly players act. The game was developed by Sunflowers Interactive Entertainment Software ,Max Design. The game was published variously by Bomico (first in Germany), Infogrames, GT Interactive Software, Infogrames again, and Electronic Arts. If you need more information please contact the developers of ANNO 1602 (Ubisoft Entertainment S.A.), or check out their product website.